Oh!!!!!! I love House of Mirth! Great choice for a favorite classic. Thanks :) It is an awesome book. 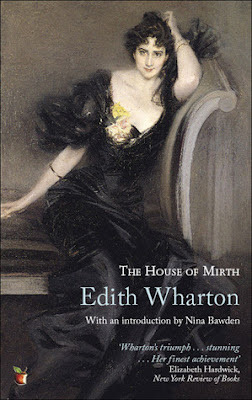 I haven't read Edith Wharton so far, but she has been on my list. I haven't read this yet, and am just doing a bit of revamping of my list and discovered that I had The Age of Innocence on it but not this. On it goes! Aaahhh (I seem to be writing that a lot this morning as I go through reading everyones favourite classic) Edith Wharton! It's lovely reading your post and being reminded of how much I love these books - House of Mirth and Age of Innocence in particular. I've tracked down a couple of her older, lesser known stories as e-books and put them on my list too. HOW could I forget Edith Wharton when I made my list???? I LOVE House of Mirth and Ethan Frome. She's just so wonderfully tragic. And I love her short stories too.